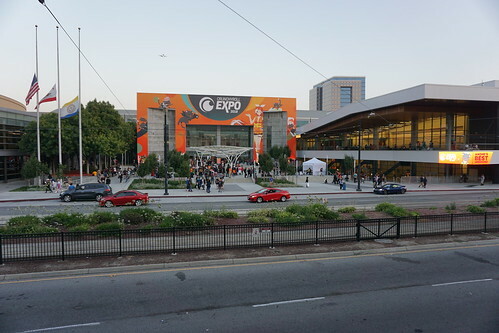 Unlike last year, my friends and I planned to go to Anime Expo 2018 pretty early on, around Fall of last year. 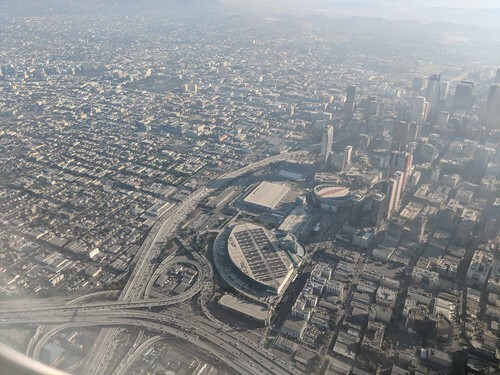 I don’t remember the exact reasons we decided to plan the trip, but I think it was a combination of me retelling my positive Anime Expo 2017 experience, with the wanting of returning to LA. We reserved our plane tickets and I bought my AX badge on Black Friday to save money, and what was going to be new and different was that our badges would be mailed to us, something that wasn’t possible before. I think this was in response to how bad lines were last year for people picking up their badges, waiting outside for hours. I got mine in the mail a couple months before the event. 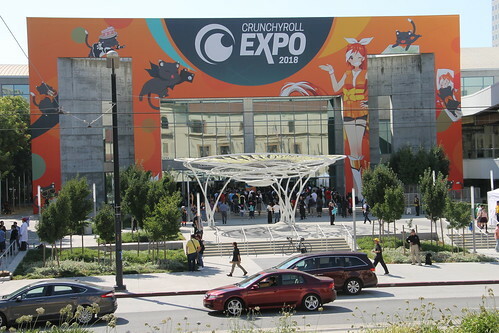 I was hoping to work for Crunchyroll again at AX, and sure enough the E-mail came around asking for people who could. I responded as soon as I got the message, which was right around the time of FanimeCon. 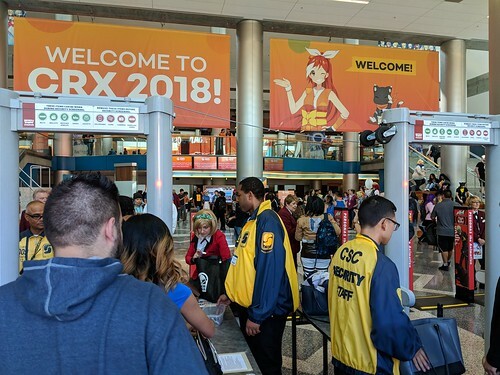 Because of my positive experience from last year, and the financial benefits that come with, I felt that this is the way that I can enjoy Anime Expo, both from the inside and out. 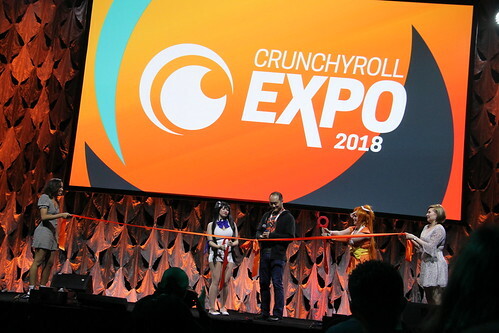 For all of my photos from my Anime Expo 2018 trip, please visit my Flickr set Anime Expo 2018. I woke up really early, at around 2am to start to get ready for a busy day. Our flight from SFO to LAX was departing at 6:45am, so I planned to get there about two hours before. After picking up my two friends to meet at my place, we took Uber to the airport and went through security without problems. We boarded with others who were obviously also going to AX, and arrived at LAX early. From there we picked up another Uber from LAX to our hotel where we were able to check in quite early, before 10am to my surprise. Check in time was 3pm, but I know that in some cases if the room is ready we can already do so. 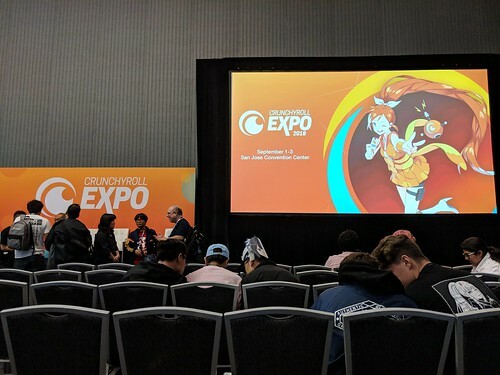 It was good that we were able to get our room early because I wouldn’t be able to come back until night because my shift for Crunchyroll was from 1:30pm to 6pm, and I would of had to ask my friends to take care of my stuff during the time we didn’t have the room. We ate breakfast at the neighboring Westin Bonaventure hotel before taking the shuttle over to the convention center. Talking about working for Crunchyroll, everything was going smoothly for that, except for my Exhibitor badge pickup. My Crunchyroll contact was giving them out before I could arrive at the venue, so I quickly contacted him once I landed at LAX, asking for arrangements to pick mine up later. Since I did have my standard 4-Day badge, I could at least use it to go into the convention center before my shift started, to quickly check out what’s going on. 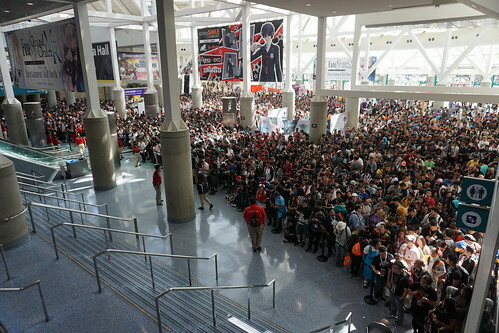 Getting into AX was not as bad as it probably was for standard attendees last year. The security lines were not too bad, only waiting a few minutes to get to the doors where con staff quickly checked bags and had you tap your badge to a reader. Once inside, you can easily tell that the crowds were already quite bad. 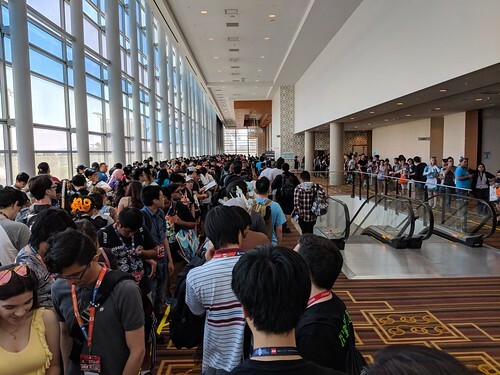 For example, getting into the Entertainment Hall took maybe 10 minutes to get into, but the line looked more intimidating than I explained. Most of the time it was hard just finding the end of one, because sometimes it continued outside. 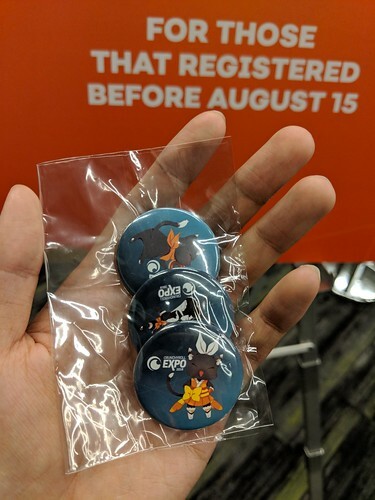 After checking out what I could, I picked up my badge from my Crunchyroll contact, and shortly after started my shift at the Crunchyroll station near the Entertainment Hall. 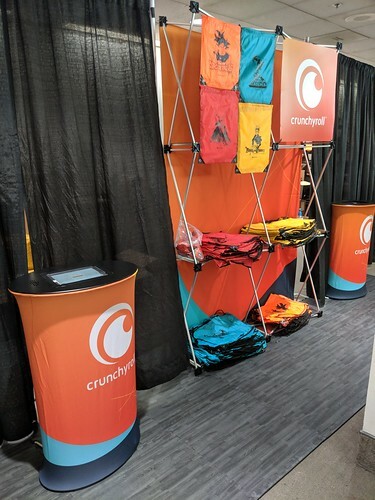 My role at the Crunchyroll station was to give out anime themed drawstring bags and a mystery pin to premium Crunchyroll and VRV members. Because my shift started during midday, I pretty much had to hit the ground running. I made a few mistakes during my first day, but I was able to adjust and adapt accordingly. Thanks to my years of customer service experience, the task that was set up for me at the Crunchyroll station was going to be simple in the extreme. 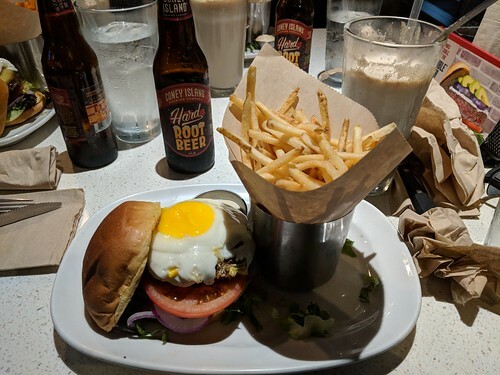 After my shift ended at 6pm, I met up with my friends for dinner and went to a custom burger place called The Counter, a place I didn’t go with them the last time a few years ago when I was busy at AX. Afterwards we stopped by a nearby Target to buy a case of waters for the weekend, and walked back to the hotel to call it the first night. After a refreshing 6 to 7 hour sleep, it was time to get ready for the second day. For today and tomorrow, I had a 10am-2pm shift back at the Crunchyroll station, so I planned to get back to the convention center by around 9:30am, early but to be on time. The lines for getting into AX were much more longer than yesterday. Even the priority entrance for con staff, guests, and the like was long and in the hot sun. I was able to get in at around 9:30pm as planned, but that didn’t give me a lot of time to explore beforehand. 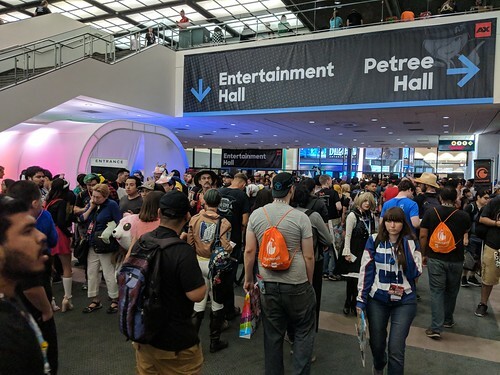 I quickly went over to the Dealers Hall to check out the crowds of people waiting to get inside, as well as do a quick walk inside the hall before the mass of them storm the place. As the Dealers Hall opened about 10 minutes before 10am, I made my way back out towards the west hall for my Crunchyroll work. After my shift, which during I was able to get a bite of Subway to eat courtesy of my temporary employer, I headed to the JW Marriott for the Liz and the Blue Bird movie premiere that my friends were already at. Because it was to start at 3pm, I knew that the lines would be already long. When I was finally able to get to the line it was pretty massive. I talked with my friend a bit who was in line and initially decided that it was too long for me and that I didn’t want to risk waiting for something that I could potentially get barred from due to room capacity limits. As I walked away, I was at unsure if I really didn’t want to try and watch the movie. The line kept getting longer as I watched from above, and eventually changed my mind and planted myself into the line. 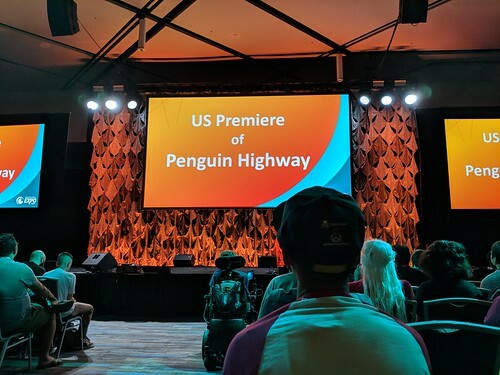 I guess my uncertainty came from my experience of trying to watch an anime movie premiere last year at this exact room, only to be turned away when the room maxed out capacity. After a bit of waiting, the line started to enter the room. I started getting antsy the closer I got to the doors. At one point, we stopped moving for a decent amount of time, which worried me because a lot of people had already entered. Luckily the line moved forward and I was able to get in, even getting a seat with my friends who saved me a seat near the mid right area. I was glad that I decided to try again for this premiere, as I had found out only before the start of the movie that Liz and the Blue Bird was based on the Hibike! Euphonium series, specifically it takes place after the events of the second season of the anime and focuses on Nozomi Kasaki and Mizore Yoroizuka. The movie already came out in Japan, but will be in US theaters sometime in the fall. I might rewatch it again with friends as the quality wasn’t as great sound or viewing wise. Afterwards, my friend and I headed to the Trigger panel which had a line that was outside, but at least covered somewhat from the sun. 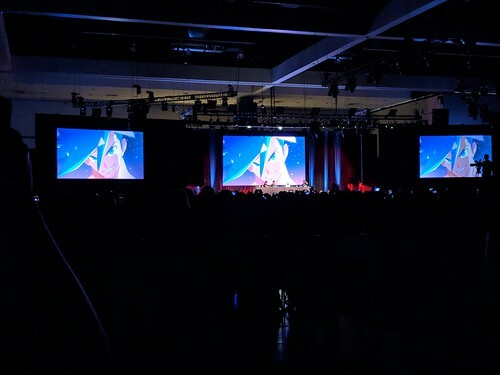 My main plan was to see the SSSS.Gridman anime premiere made by Trigger, which was to happen right after the panel. 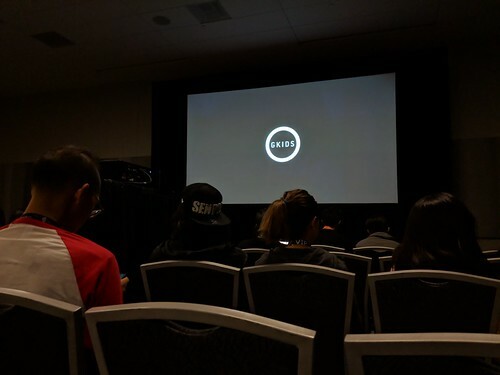 I read that the room would not be cleared after the panel so I figured the best bet for having a seat was to sit through the Trigger panel which I didn’t mind seeing. There was still plenty of seats around when we got in, so we got a couple with minimal blockage from people in front. Even though the panel went on for a couple of hours, it was fun seeing the projects that they were working on, and getting sneak previews of them as well. The SSSS.Gridman premiere was pretty cool. 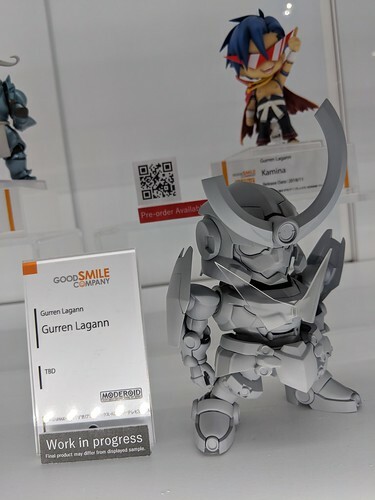 Trigger took the concept from the original Gridman tokusatsu series and created a brand new anime series based on it. The first episode can only be described as a classic scene from a tokusatsu series, a giant robot fighting a giant monster (kaiju). I’m looking forward to watching it when it officially airs in the Fall. We were going to meet some friends for dinner, so to wait the time out for when they were done with AX, we played some board games. Afterwards we got a Lyft and headed to Koreatown for a KBBQ dinner. However upon arriving at our destination, we saw that a blackout had hit the area. We looked for an alternative place to eat and took another ride over to it. The back up place we went to was called Quarters Korean BBQ, and the wait was about an hour. It was pretty late too, but the area was really busy with people. My friend and I decided to walk around for a bit to kill some time and check out what was in the area. Most of the places was closed because it was late, but we did stop by a 7/11 to grab a drink, as it was still like 90 something degrees out. By the time we got back to the restaurant, the wait time was only about 15 more minutes. During this time I had found out from family that a fire broke out in Goleta, CA, near UCSB where my sister was attending for summer quarter. I looked into it and the situation wasn’t too bad, so I kept it in the back of my mind. This place was really nice. 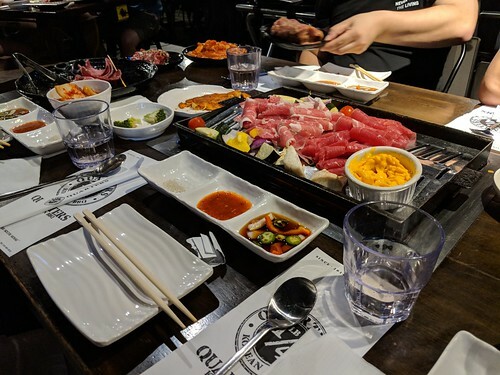 There was options for which level of KBBQ you wanted, as in how much food you wanted. We went with the most expensive one I saw, about $30 per person, which is about standard for these kinds of places. What was great about this place was that the server also cooked your food for you as well. She was very fast and efficient, cooking not only for our table but for a few others as well. All of the meats were good, especially with the sauces and such. We got back to our hotel before 1am and I promptly went to bed with a full stomach and another busy day ahead. 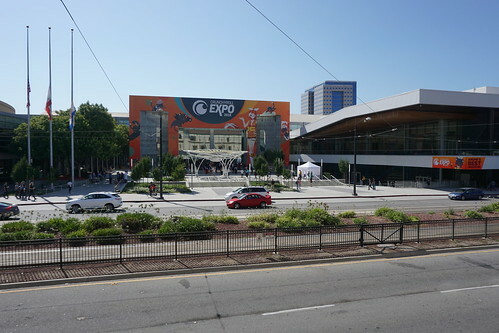 Today started almost like yesterday, but I wanted to get to the convention center even earlier. My friend wanted to get something at the VIZ Media booth, but the lines were pretty long during open hours. I used my Exhibitor powers to go into the Dealers Hall early to get what he wanted to get for him. VIZ wasn’t selling anything when I got to them at just past 9am, so I decided to use the time I had to explore the Dealers Hall more. 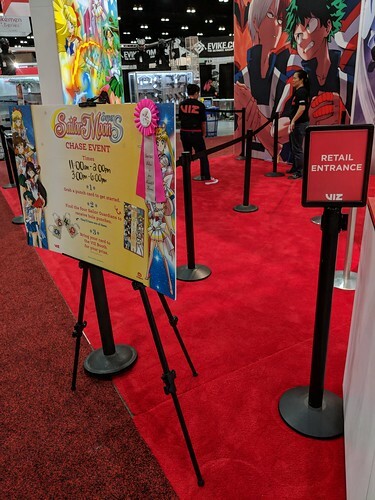 I realized that during the entire time at AX I’ve spent barely any time in here, which is usually one of the main attractions of anime conventions in general. At the same time, there wasn’t much things I wanted to buy as I was saving money for something even better in the future. By 9:30am I decided to get in line at the VIZ booth, and about 20 minutes later I was able to get what my friend wanted from the booth. 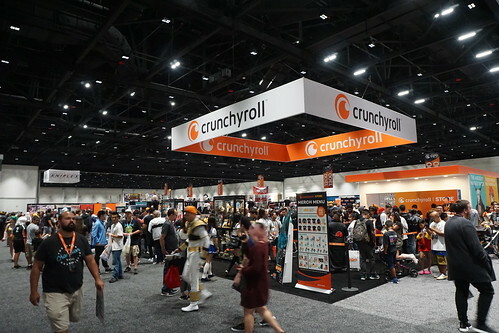 I headed back to the Crunchyroll station at the West Hall for my final day of work with them for AX 2018. The only plan I had for after my shift was dinner with my LA acquaintances at around 6pm, so I decided to use the last few hours that I’d be at AX to check out the Dealers Hall and Entertainment Hall one last time. 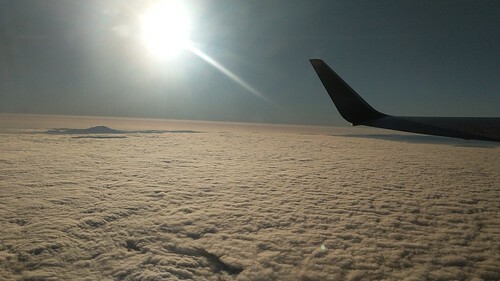 The reason I say last few hours is because our flight back home on the next day was leaving relatively early, so we wouldn’t be able to go back to AX on the last day of the event. 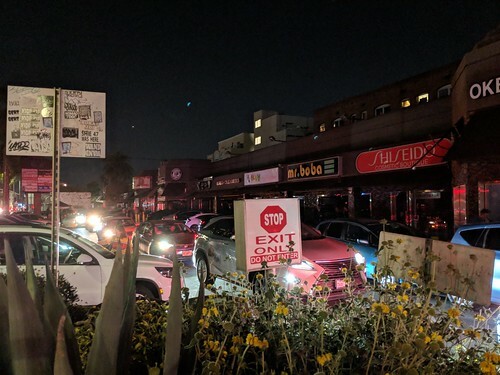 Also I figured that once I left the area for dinner, I was going to head back to the hotel from there afterwards as I figure it was going to be lateish. While wandering the Dealers Hall, I met up with my friends. During this time, I got a message from my other group I was going to have dinner with. Apparently things happened which caused a couple of them to have to drop out last minute. It was at that point that it was probably best for me to drop out as well. I didn’t know them all that well, and the person who dropped out was the person who invited me in the first place. I felt that it would have been awkward to try and have dinner with them when I barely know them. I just told them that something came up on my end as well and left it at that. Because that cleared up my schedule for the rest of the night, my friends and I decided to try and check out the Cowboy Bebop 20th Anniversary event which was to start at 8pm at Lounge 21. We had a few hours to kill before that, so we headed back to the tabletop gaming area to play some. 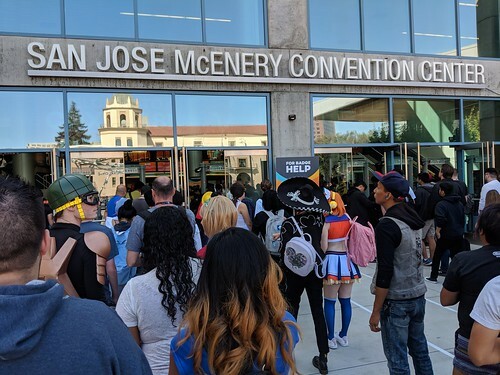 After enjoying a couple of games of DC Comics Deck-building Game, we went to check out the line for the Cowboy Bebop event, which we found out was really long and wasn’t moving all that much. Nearby was the Beer Garden so we grabbed a couple drinks from there to pass more time. By 9pm though it became clear that it wasn’t worth waiting anymore for it, and grabbed a Lyft for dinner. 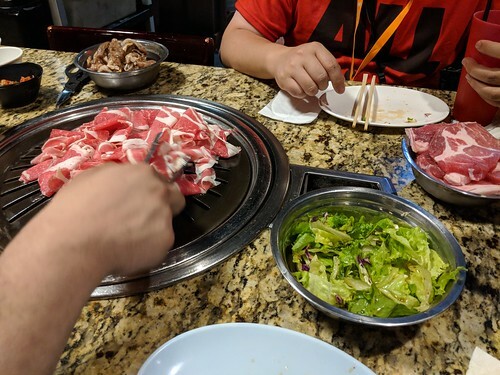 We went back to Koreatown for a cheaper KBBQ place. It was still pretty good; not a long wait, cheaper prices, but we had to cook it ourselves. Another quick ride back to our hotel called it for the night, as well as our Anime Expo trip. Upon waking and preparing to leave the hotel, we went out to get a quick breakfast back at the Westin. After returning back to our room and checking that everything was packed up and ready to go, we proceeded to check out at around 10am. Our flight was scheduled to leave at 1pm, so our target time to get to the airport was 11am. 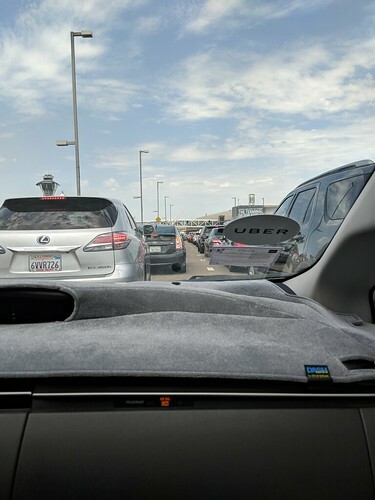 We took an Uber back to LAX, which took a while due to a detour and heavy traffic getting to our terminal. We got though security and to our gate with time to spare. I noticed that my plane ticket did not have a seat assigned, just reading “assigned at gate”. I figured that meant exactly that, that I’d have to talk to the people working at the gate for a seat arrangement. While waiting for boarding to start, I heard an announcement from our gate mentioning that because the flight was overbooked that they were offering $600 gift cards for anyone who volunteered. I thought that was a nice offer, but I didn’t think about it too much. As I looked at my ticket though, I decided to go up to the gate to ask about my seat. They told me that I did have a seat and that they would call me closer to the time of boarding for further information. After telling my friends about the situation, I figured that meant that I would probably be one of the last ones to board seeing as I didn’t have an assigned seat yet. I joked around about the offer the airline was mentioning, me saying that if they offered $1,000 that I might take it. For a flight that cost me only $50 each way, it would be worth it to take that kind of offer. Not long later was I called back up and was given my ticket with an assigned seat. Apparently I was sitting in row 15 of the plane, while my friends had seats in the mid 20s rows. Boarding started with priority people and so we went to line up with the others in the other groups. My friends were in group E, but there was only signs for groups A, B, and C. I assumed that meant that group C and above were treated the same. I was looking at my ticket to see what group I was part of, but I couldn’t find it on my ticket. 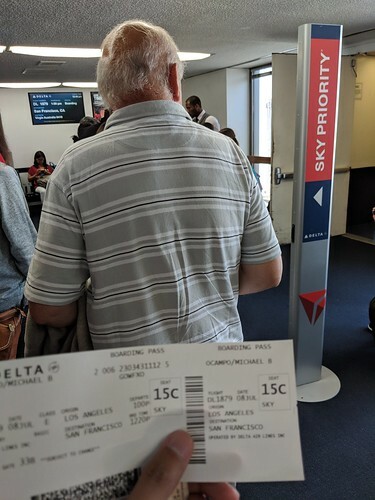 During the last calls for priority boarding, I noticed that my ticket had the word “Sky” on it next to my seat number, as well as the priority line actually being called “Sky Priority”. I wandered up to the front of the line and low and behold I was part of priority boarding. I took my seat which was an aisle one this time as opposed to the window seat I had while coming to LAX, and waited to see my friends pass by, which when they did they had that jokingly jealous grin on their faces. After a quick and smooth flight back to SFO, I called up my family to pick us up. It took them a while to come, but when they did they missed the turnoff for where we were waiting at and tried to cross multiple lanes of traffic to get to the side we were at. I knew that they were going to be in the way, so I tried telling them to go around again, but a security officer saw us and let us board where we were, on the grounds that he didn’t want us blocking traffic again. We left the airport without much to say and arrived home, happy but exhausted. This trip went very smoothly and was fun with the company I had during it. For me, having friends around during anime conventions tends to drag me down more than lift me up, but during this particular trip, it seemed to convince me otherwise. I think it’s because usually during these kinds of events, I’m absorbed in my own goals for the event. Taking lots of quality photos, seeing guests of honor, and going to panels and premieres, all of that was usually my priority above everything else for me to feel satisfied about the convention. 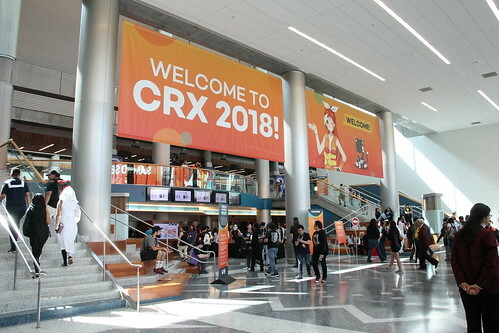 But just like last year, because I was working for Crunchyroll, that became my priority, and because of it meant that I could not do what I used to do in previous years at AX. And while that may sound like a bad thing, that I couldn’t do what I used to do in the past, in retrospect I think it’s for the best. It’s allowed me to focus on enjoying the event itself rather than try and make it enjoyable for others besides myself. 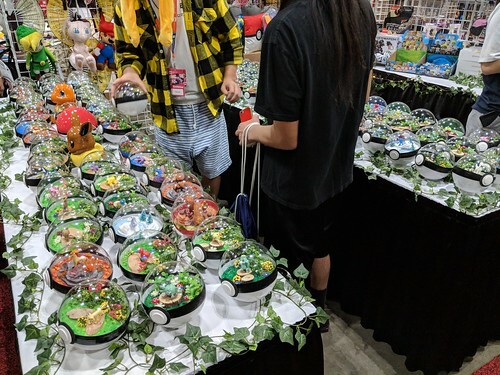 My primary objectives at anime conventions has mainly been to share an overall experience to people online, to allow them to see and feel through my thorough day-to-day diary like posts here on my blog Topic “Otaku”, as well as from the pictures I upload onto my Flickr. Of course there are many people like me who attend and report their experiences as well, but my story will always be unique to me. Maybe it’s me getting older and I’m seeing things from a different perspective, new generations rise and trends and interests change. I guess what I want in the future is to become a part of the industry that has had such a big influence on me for so many years, rather than just be another consumer in the crowds of people waiting in line for hours on end. I’ve always been someone who likes to work the back lines, whether that be post production video editing, or playing a support in Overwatch. If that is my path forward, I would not mind following it, even if it is something that pulls me out of my comfort zone of easy retail jobs near home.